CHAP Accreditation requires a home care business to complete a CHAP Self Study prior to proceeding with CHAP Accreditation. 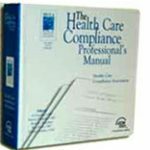 This includes a list of CHAP Accreditation Standards a home care business will need to abide by. What is the CHAP Self Study? For more information about the CHAP Self-Study please contact us at 888-850-6932.